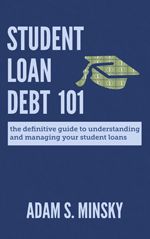 Share the post "BREAKING: New Details on Expanded Student Loan Forgiveness"
First, a recap of PSLF. 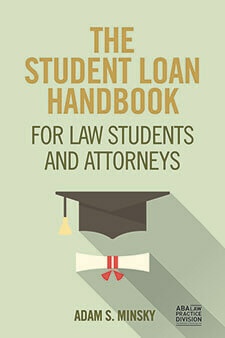 To get your student loans forgiven under the program, a borrower must make 120 “qualifying payments.” A “qualifying payment” is one that is made (1) on the right type of federal student loan, which is a Direct loan; (2) under the right type of repayment plan – which is either an income-driven repayment plan or the 10-year Standard plan; while (3) working in qualifying employment. Millions of student loan borrowers belatedly found out that they made no progress towards loan forgiveness under the PSLF program because while they met the first and third criteria, they didn’t meet the second criteria because they were on the wrong repayment plan – like an Extended plan or a Graduated plan. So Congress passed a fix earlier this year – they are allowing these borrowers to petition the Dept. of Education to “count” these payments that otherwise should not have counted. However, this fix is not full-proof, guaranteed, or permanent. Congress allocated $350 million to fund this expansion, but relief will be provided on a first-come / first-serve basis, and there are several other requirements as well (check out my overview of the expansion to get more details on the program’s requirements, and its limitations). So we were all left wondering – how exactly will this work? Borrowers must first apply to have their loans forgiven under the PSLF program, and be denied because they haven’t made enough qualifying payments, even though they were making payments on their Direct federal loans while working in qualifying PSLF employment for 10 years. Borrowers must have accrued 120 payments that would qualify for loan forgiveness under the new requirements of the “TEPSLF” program. Borrowers can then request reconsideration of their denied PSLF application by sending an email to FedLoan Servicing, the servicer tasked with handling the PSLF program. The email address is TEPSLF@MyFedLoan.org. There appears to be no mechanism for borrowers to get a preliminary count of qualifying payments under TEPSLF, and there seems to be no way for borrowers to do a cut-and-dry application for loan forgiveness under the expanded requirements. Instead, borrowers must first apply for PSLF, be denied, and then appeal. That’s not exactly what I’d call efficient. FedLoan Servicing, which handles the PSLF program, already causes widespread delays and errors when processing qualifying PSLF payments. I do not expect their processing of the TEPSLF program to be any better. Ultimately, I think the Dept. of Education is intentionally setting up the procedure in this manner to make it difficult for borrowers to obtain a benefit that they are entitled to under federal law. 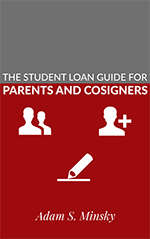 Borrowers who are on track for PSLF – and particularly those borrowers who may qualify under TEPSLF – should keep meticulous records of their student loan payments and related correspondence, and should be prepared for a tedious months-long process of applications and appeals.